Heat oven to 350°F. 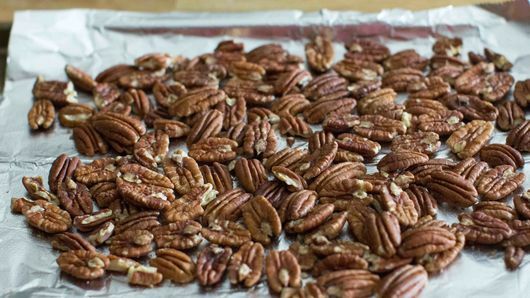 Toast 1 cup pecans, roughly chopped, on foil-lined cookie sheet about 10 minutes or until you can smell them toasting. Set aside. Drain 2 cans (29 oz each) and 1 can (15 oz) sweet potatoes or yams. Mash in large bowl. 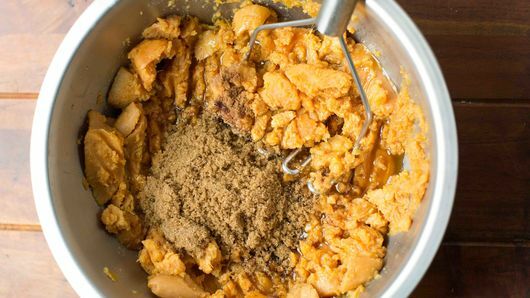 Add 1/2 cup melted butter, 2 teaspoons pumpkin pie spice, 2 teaspoons salt and 1/2 cup packed brown sugar. Mix, and add 1 cup buttermilk, stirring with spatula until well combined. Add 3 eggs, beaten; mix well. 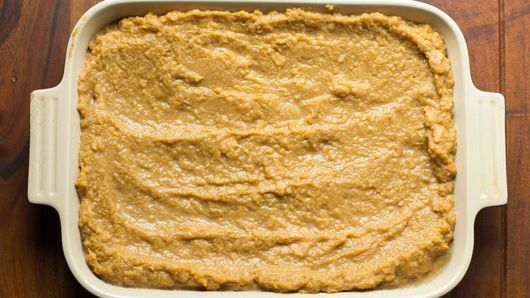 Spoon into lightly greased 13x9-inch baking dish; cover with foil. Bake 40 minutes. 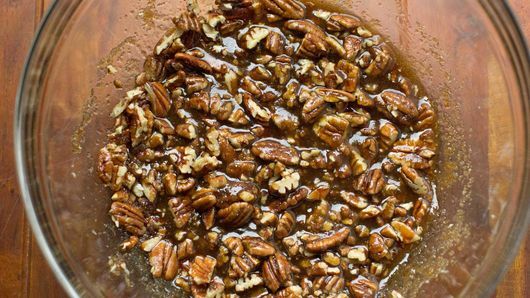 Meanwhile, mix 1/2 cup melted butter, 1 cup packed brown sugar and toasted pecans. 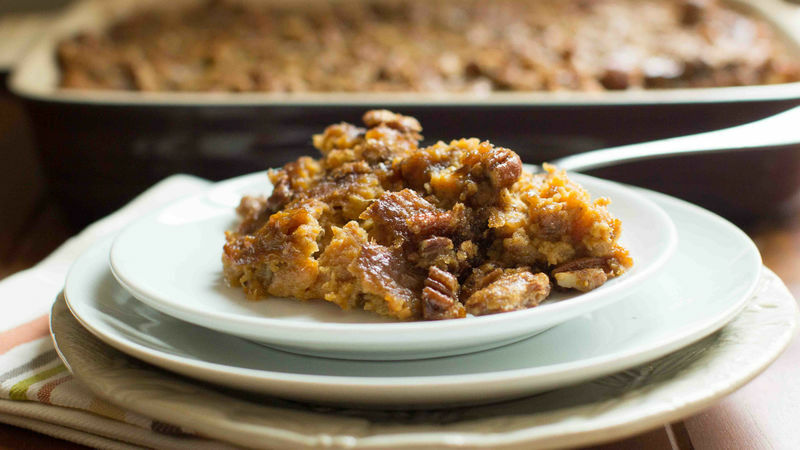 Sprinkle with a pinch of pumpkin pie spice; set aside. 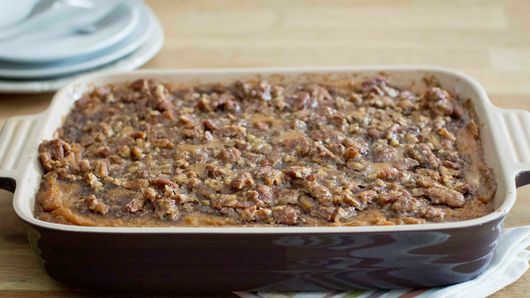 Remove foil after 40-minute bake time; top with brown sugar-pecan topping. Bake uncovered 35 to 40 minutes or until bubbly and set. Let stand 20 minutes before serving. Cover and refrigerate any leftovers for up to three days. Casserole can be cooled and frozen, tightly covered, for a month. Add 5 to 10 minutes to bake time if baking from freezer.